Open science is being advocated by policy makers in many countries and by international organisations as a way of increasing the efficiency and effectiveness of public investment in science. A critical foundation for open science is access to research data (data that is used and generated by public research) that needs to be provided in such a way as to be readily re-useable for further research and analysis. This access needs to be sustainable over the long-term and uninhibited, insofar as is possible, by national, disciplinary, or cultural barriers. It is dependent on individual data repositories at the institutional, national and disciplinary levels and on co-ordinated international networks of these repositories. In October, 2015, the OECD Global Science Forum (GSF) commissioned two separate projects to inform policies to promote open data for science. The first of these addressed business models for sustainable data repositories and is the subject of a separate dedicated policy report. 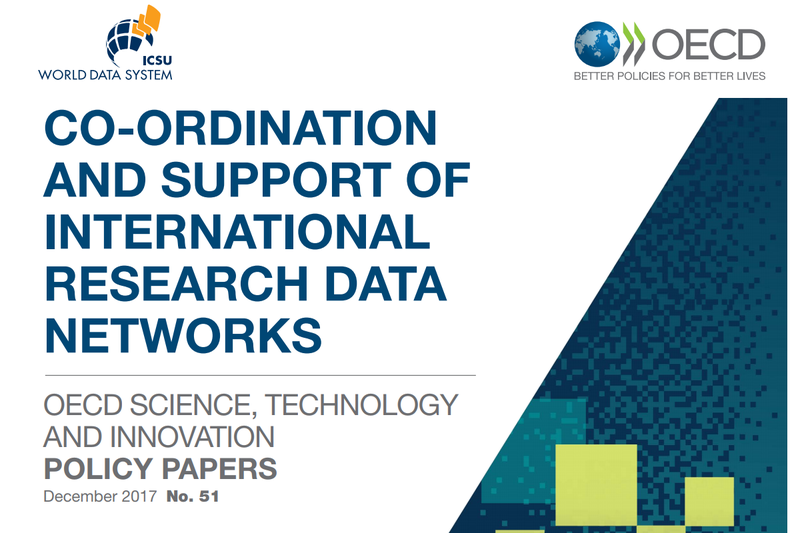 The second project, which is the subject of this report, focused on internationally co-ordinated data networks. The overall aim of this project was to identify principles and policy actions that can enable the establishment and maintenance of effective international data networks that are necessary to support a global open science enterprise. It was agreed at the outset that a case study approach should be adopted to build on the experiences of existing data networks across different scientific domains and regions. The potential benefits of conducting this project in collaboration with relevant international partner organisations were also explicitly recognised. This project has been carried out in partnership with the World Data System of the International Council for Science (ICSU-WDS or WDS). It has also benefitted from strong links with the international Research Data Alliance (RDA). The two-day workshop in Brussels in March, 2017 that was a critical part of the project was generously hosted by the European Commission Directorate for Research and Innovation.